Home / News / What’s In the Mighty Mini Meals Box? 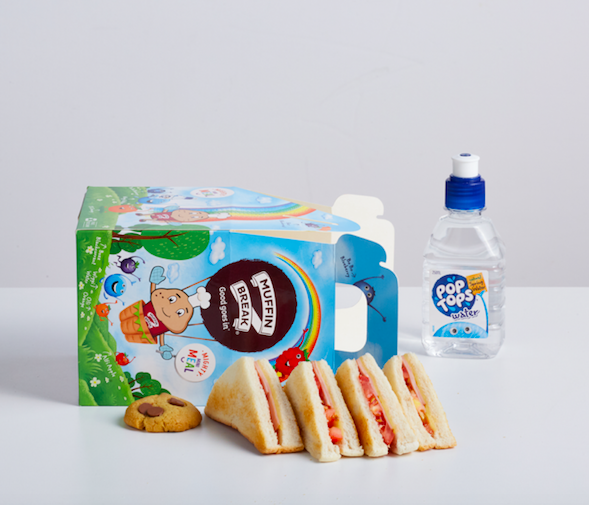 Could the new Mighty Mini Meal be the ultimate win for both parents and kids? Muffin Break is now offering up this triple whammy at your local shopping centre! It all comes wrapped up in an exciting package which sees new characters from the Pop-Tops family join the Muffin Man, as well as the Ooshies. All the Pop-Top flavours have unique personalities which are expressed across the colourful packaging of the Mighty Mini Meal box. It’s a fun, informative and interactive way for kids to learn about different personality types. Wiggi Water – Co-Captain. He’s always steady, sensible and positive. He keeps his cool in any situation and knows how to solve every problem because he’s such a calm and steady influence. Everyone wants to be Wiggi’s friend! Alfi Apple – Co-Captain. He’s a bold leader, a natural extrovert and also very practical and skilled. Alfi is great at fixing things and always knows the right thing to do. BoBo Blueberry, Shy Daydreamer – BoBo is the shy baby of the bunch and a softy. BoBo quietly follows everyone around quietly, likes to daydream and wanders off following butterflies. Razzle Raspberry, Playful Joker – a ripple of laughter, Razzle is loveable with a playful sense of fun and often jokes around. Razzle thinks out of the box, she’s cheeky and imaginative and a little bit mischievous! Buzz Blackcurrant, Energetic Little Racer – Buzz is constantly bouncing off walls and zipping around. Energetic Buzz is great at sports, kicks the ball the farthest, jumps the highest and runs the fastest. He thinks and talks very quickly. Pop into your nearest Muffin Break store to meet Muffin Man’s new play friends…who just can’t wait to meet your kids!